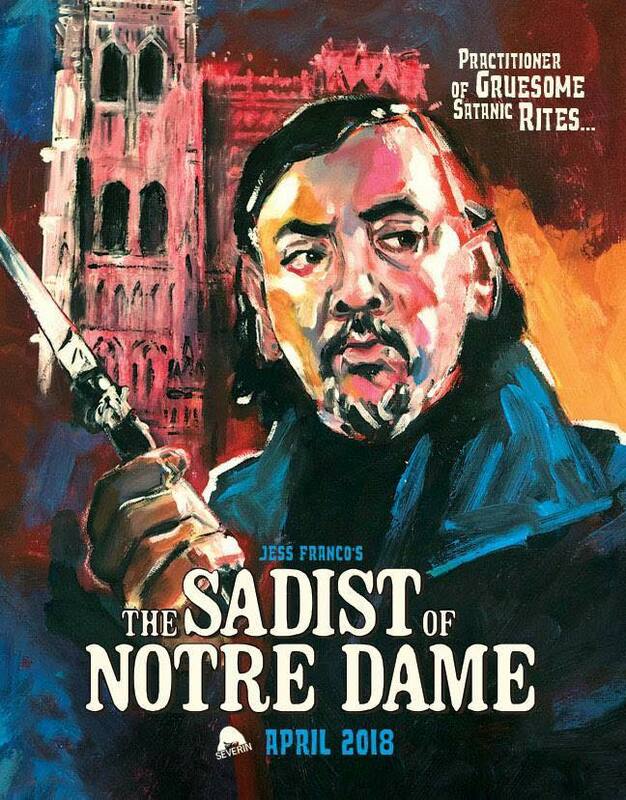 FW: HAPPY BIRTHDAY, JESS FRANCO! Not to worry guys, I’ve not given up on the 80s actors series. Just thought I could begin another one. 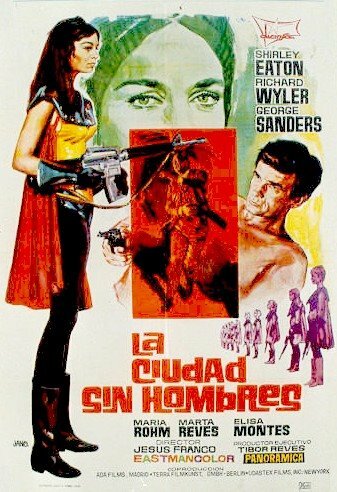 The present series will deal with Spanish actors of at least some distinction who have appeared in a Jess Franco film on a very occasional basis. Now, the first name in the series may surprise some. I mean, Luis Ciges? Wasn’t he a Paul Naschy man? 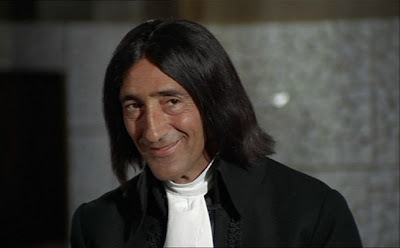 Well, yes, he did more Naschy than Franco; he also did more Iquino than Franco; and he was basically associated with the cinema of Luis García Berlanga, BUT he did appear in one role for Jess Franco, that of one of the evil monks at Jack Palance’s monastery in Marquis de Sade: Justine (1969). To this one could add one his first acting roles, an uncredited part in Ramón Comas’s Historias de Madrid (1958), which Franco co-scored. In reality, this was just one of many roles, scores of roles, the small, gaunt actor played in the cinema and on TV, starting on an occasional basis in the late fifties and steadily from the late sixties until his death from a heart attack at the age of 81, by which time he had long gained a place as one of the most beloved character actors in Spanish cinema. He also had a rather varied life, in which he stumbled into acting by sheer accident. Luis Ciges Martínez (1921-2002) was born in Madrid, his father being the writer and Republican politician Manuel Ciges Aparicio, who had begun to act as the civil governor of Ávila when he was shot (1936) by Nationalist forces during the Civil War. At the time, the young Luis had already graduated in Accountancy at the age of 14. After the Nationalist victory in the war, he and two of his brothers, despite the family’s left-wing credentials, joined the Blue Division, an element of Spanish volunteers created to aid the German war effort in Russia. On returning to Spain, he studied medicine for two years in Ávila, while working as an intern at a clinic for the tubercular. Due to his wife’s unwillingness to stay in Ávila, he moved to Madrid and studied at the Institute for Film Research and Experiences (IIEC), where he graduated in film directing (“I liked acting but was too ugly”). Following some experience on TV in Madrid, he settled in Barcelona. Amidst much directing of TV programmes and commercials, and numerous technical tasks, he had already started to appear as an actor in many films. His liberal politics had already got him into trouble, first on account of a documentary he had made on Spain’s urban poor and later, for his protests against the Burgos trials. This led to his being fired from TV in 1970 and his subsequent concentration on acting roles. He was seen in all manner of roles until the late seventies, when he came to specialise in the roles of spacey eccentrics with which he became well-known. 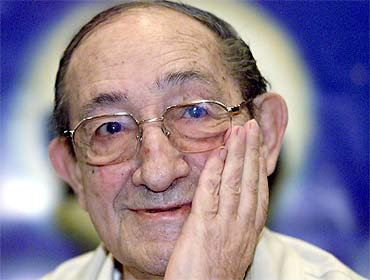 In 1995, he received the Goya to the best supporting actor for José Luis Cuerda’s Así en el cielo como en la tierra (1995). 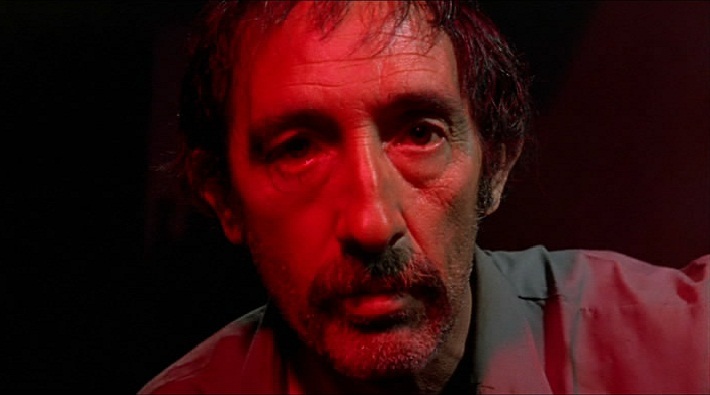 Three years later, in his late seventies, he played a rare lead role in Javier Fesser’s El milagro de P. Tinto(1998). 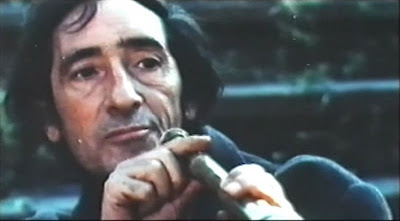 Prior to that, he had played another lead long before, as the vagrant in Jaime Chávarri’s segment in the supernatural compendium Pastel de sangre(1971). In addition to all the above, he became much in demand in shorts, including one, Franco no puede morir en la cama (1998), in which he was cast as General Franco, no less! Prior to dying, when he left his flat to go to an old people’s home, he donated his personal collection of 6,000 books and numerous videos to the town of Islantilla, Huelva, where he had been paid tribute in 2000. 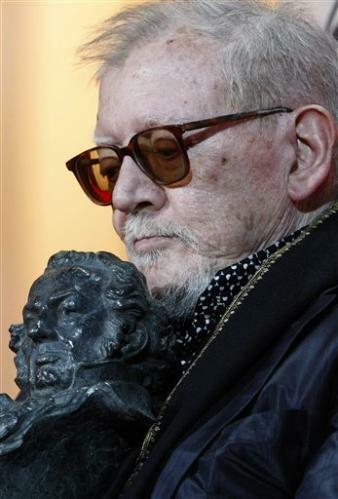 In return 2009, the Islantilla film festival posthumously created the Luis Ciges award. Luis Ciges with Mabel Escaño, an 80s Franco regular, in Luis García Berlanga's Nacional III (1982)(In the background, Amparo Soler Leal and José Luis López Vázquez). Cast: Lina Romay, Robert Woods, Howard Vernon, Alice Arno, Kali Hansa. FELIZ CUMPLEANOS AL TIO JESS!